For the first time in history, a man of faith and a man of science are teaming up to search for Jesus’ DNA. Using the latest advances in DNA technology an Oxford University geneticist and a biblical scholar are investigating the world’s most famous holy relics including the Shroud of Turin, The Sudarium of Oviedo and the newly discovered bones of Jesus’ cousin, John the Baptist. By extracting and analyzing samples of each of these holy relics they hope to retrieve a sample of DNA that possibly belongs to Jesus or a member of his family. Right now, experts are trying to ‘extract’ the genetic code of the family of Jesus Christ. Numerous strange claims have been made by different individuals who said to have been on the verge of cloning Jesus Christ. However, we still have not managed to clone a human being, let a lone the Son of God. But what if we could track down the DNA of the Messiah? Now, a History Channel documentary called ‘The Jesus Strand’, which premieres on April 16 looks into the matter. 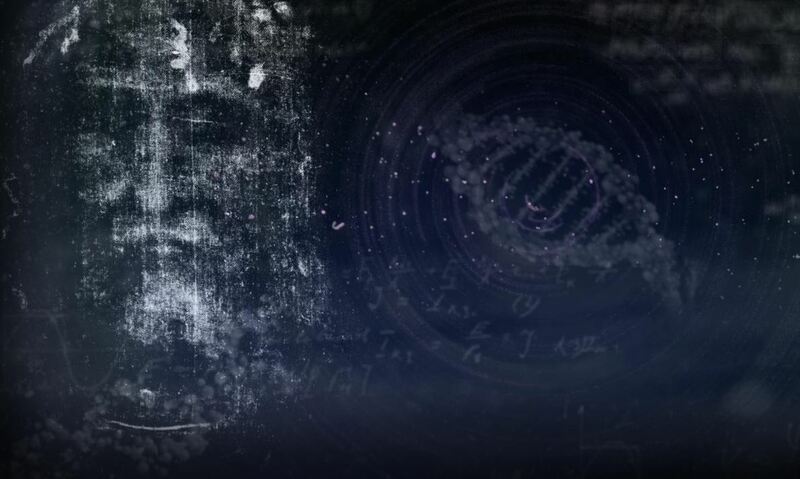 History Channel’s “The Jesus Strand” is a journey where, for the first time in history, a man of faith and a man of science are teaming up to search for Jesus’ DNA. Using the latest advances in DNA technology Oxford University geneticist George Busby and biblical scholar Pastor Joe Basile are investigating the world’s most famous holy relics including the Shroud of Turin, The Sudarium of Oviedo and the newly discovered bones of Jesus’ cousin, John the Baptist. Their journey takes them to holy sites around the world from Spain and Italy to Israel and the shores of the Black Sea. However, Busby indicates that it is still not clear whether or not that DNA is from the REAL John the Baptist. Nevertheless, he has spoken with scientists who participated in the extraction of numoerus DNA samples from the Turin Shroud. The Shroud of Turin is believed to be by many as the burial cloth of Jesus, and the center of a debate between skeptics, historians, and archeologists. The cloth of approximately 4.5 meters in length was the alleged shroud placed over the body of Jesus Christ at the time of his burial. It has remained as an object of fascination for both the Christian faith and science. Its origin is controversial, while some place the shroud of Turin more than 2,000 years ago to adjust the story to a supernatural origin, others believe it dates between the 13th and 14th century, based on a radiocarbon dating carried out on the linen in 1988. In addition, despite thorough scientific analysis, so far no one knows for sure how the image of a crucifixion victim is shown on the shroud although many say it is the work of Leonardo da Vinci. Interestingly, researchers are working on extracting the DNA from the so-called James Ossuary—a first century chalk box which supposedly may have help the bones of Jesus’ brother.